HIRTY-ONE captive-bred endangered sunset frogs and 251 tadpoles have been translocated to the South-West in a bid to save the species from extinction. 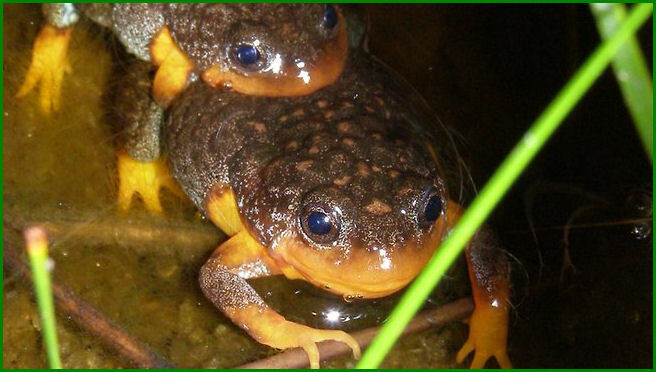 Department of Environment and Conservation officials said most of the amphibians were bred at Perth Zoo and moved to a private property in the Mt Frankland area. There are only 30 known populations of the sunset frog left in the wild and the rare creatures survive in a tiny pocket of the South-West near Walpole and Nornalup. They currently live in poorly drained peat-based swamps at the headwaters of drainage systems. Climate change and feral animals, particularly pigs, have played a large role in the frogs' demise, experts say. DEC threatened fauna ark project officer Manda Page said the sunset frog is also at risk of extinction because of its reliance on habitat that is no longer in abundance. "The release site for the frogs and tadpoles was chosen because it provides suitable habitat and extends the known range of the species," Dr Page said. 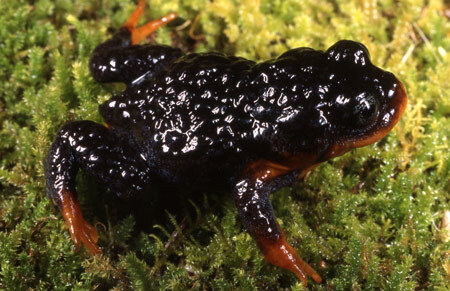 “If they breed successfully here, this will hopefully provide insurance against the species being wiped out by a devastating local event such as a large-scale intense bushfire that could destroy the frog’s peat swamp habitat." All of the tadpoles and most of the adult frogs were reared at Perth Zoo. “The owners of the property on which the animals were released have fenced the site and are taking a lead role in protecting and monitoring the frogs," Dr Page said. “Staff from DEC’s Walpole office will be working with the owners to help them protect the habitat and monitor the survival and breeding behaviour of the frogs. This will hopefully enable us to assess if the translocation has been successful." The translocation was funded by the State Natural Resource Management program.